From February 5 to 7, E-world 2019, the leading exhibition of the European energy industry will take place in Essen, Germany. 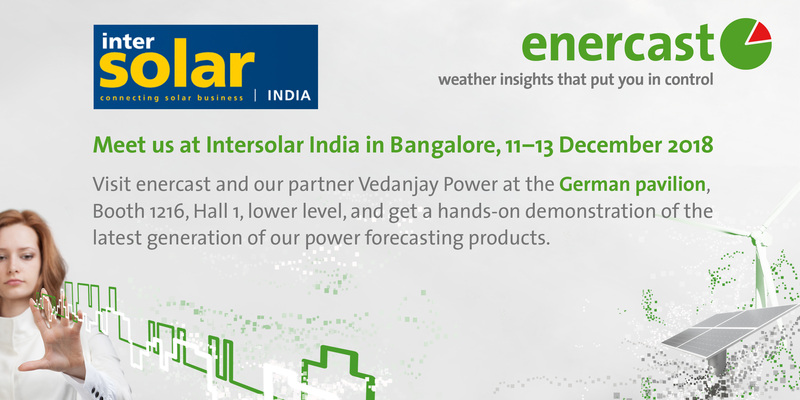 enercast can be found at our usual location in hall 5, booth 5-300, where we will showcase the latest innovations of our product range. This year, the theme will be Integration: Our integrated platform for forecasting and control gives you deeper insights than conventional system could provide. We will show new tools that allow you to create your optimal meta-forecast from multiple independent forecasts and your own experience. Combining power and weather forecasts enables more thorough analysis. And together with our partner ENERTRAG, we will demonstrate the integration of operations monitoring and control into the enercast platform. 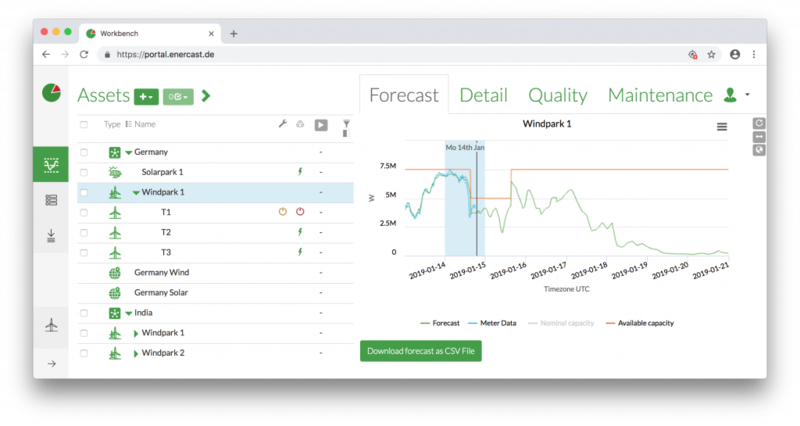 With our new Workbench UI, all relevant information for managing your assets, such as forecasts, live status, metering data and maintenance, converge in a single place. Seamless integration does not only reduce manual efforts required for set-up: Immediate availability of live data allows you to benefit from the maximum quality of our real-time power forecasts, which can in turn be transferred to the directly coupled control system. Of course, open interfaces allow unrestricted usage of your data. To book a live demonstration at our booth, make an appointment now by contacting e-world@enercast.de. We look forward to your visit!